The Atlantic Spotted Dolphin is a friendly and well-known species especially to people in the Bahamas. The Atlantic Spotted Dolphin is a cetacean species endemic in the Gulf Stream of the North Atlantic Ocean and other parts of the Atlantic. Adult individuals are easy to identify by the distinctive spotted coloring all over their bodies. 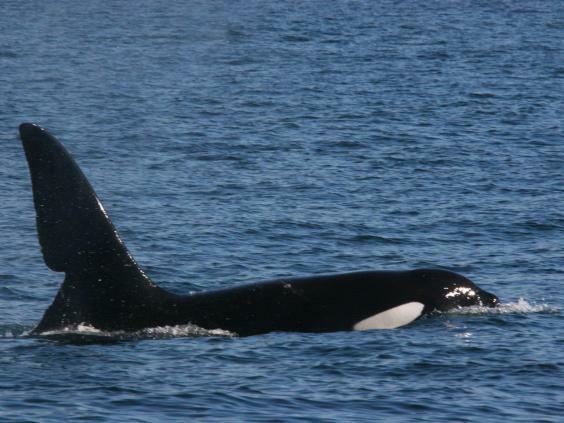 This a relatively smaller-sized dolphin when compared to other better-known dolphin species. 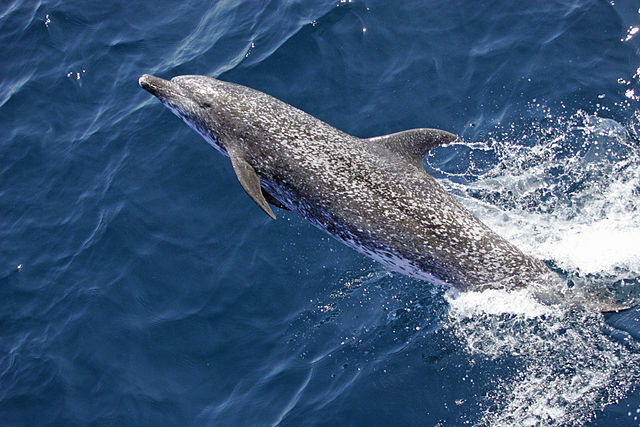 The Atlantic spotted dolphin is a stoutly-built but compact creature and sports a moderately long, chunky beak. Typically, the beak is white-tipped and some individuals may have white ‘lips’. This entry was posted in Species Profile and tagged Atlantic spotted dolphin, bottlenose dolphin, dolphin facts, dolphin species, dolphin species profile, wild dolphins on October 19, 2017 by Roselyn Onuche. 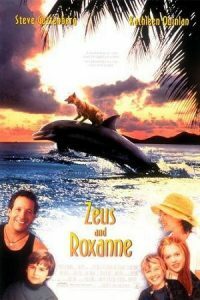 The close relationship between dolphins and humans continues from the seas to the screen in these Dolphin Movies. Though dogs are described as “man’s best friend,” it appears dolphins are becoming quite friendly with humans too. Among all the creatures in the waters, dolphins are the closest animals to humans and they are a constant source of joy and inspiration. Just watching dolphins play after a hard day’s work is enough to reduce stress in many people. This entry was posted in Dolphin Movies and tagged Ace Ventura Pet Detective, blackfish, bottlenose dolphin, common bottlenose dolphin, Day of the Dolphin, dolphin movies, Dolphin Tale, Eye of the Dolphin, Flipper, Free Willy, killer whale, orca killer whale, orca whale, orcas in captivity, The Big Blue, The Cove, wild dolphins, Zeus and Roxanne on September 11, 2017 by Roselyn Onuche. Here are some facts, and a video extract, of pretty much what really happens to keep the Dolphin Captivity Industry going. 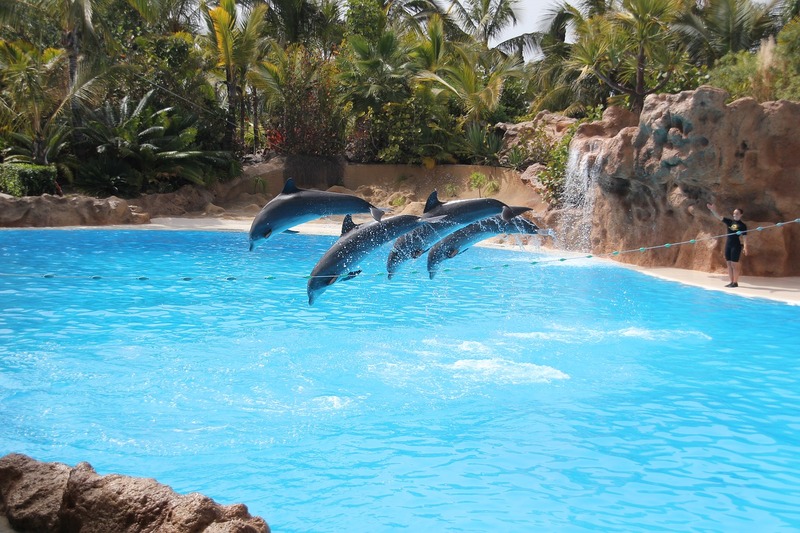 Dolphins On Display At Loro Parque, Tenerife, Spain. There’s been a lot of argument about the dolphin captivity industry: some for and some against it. How do you separate the facts from the hype? Are those against dolphin captivity just being sensational and trying to whip up sentiments or are their objections and fears genuine. 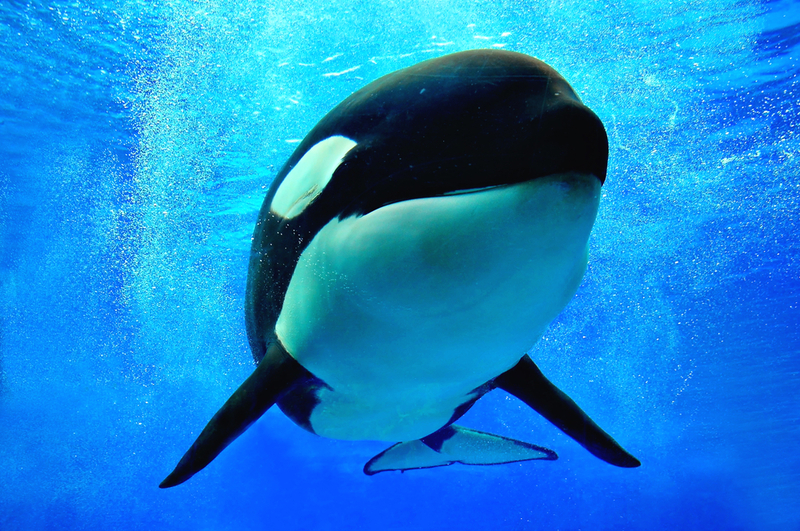 This entry was posted in Dolphin Information and tagged captive dolphins, common bottlenose dolphin, dolphin captivity industry, killer whale, orca, orca whale, orcas in captivity, wild dolphins on August 1, 2017 by Roselyn Onuche. Get to see wild dolphins in their natural habitat in any of the locations listed below. Getting to see wild dolphins is a choice activity among animal lovers and it’s an experience you won’t forget in a hurry. Luckily, it’s not that hard to see them. These friendly, and interesting creatures are distributed in many spots around the world so you may not have to go too far to enjoy their acrobatic displays in a natural environment. However, some locations are better than others and you may even get to see other marine creatures like whales while you’re there! This entry was posted in Dolphin Information and tagged best places to see wild dolphins, see wild dolphins, wild dolphins on June 12, 2017 by Roselyn Onuche.